Back in 2001, investment banker Jim O’Neill wrote a paper titled “Building Better Global Economic BRICs.”2 In it, he coined the acronym, which has become a symbol of economic shift from the G7 economies toward the BRIC nations — a shift from developed to developing economies. Correspondingly, the BRIC economies have mobile device numbers that are growing so fast, they are being termed “mobile first” economies. As you’ve probably guessed from the name, Mobile First means prioritizing an online experience for mobile before the desktop — or any other device. In the past, when users’ focus was on the desktop, mobile design was an afterthought. But today, more people are using their mobile devices for online shopping (M-Commerce) and social networking than ever before. It’s not news that Facebook, the world’s largest social media site, says that it has more than 100 million users in India. What is stunning, is that nearly 84 million of those users access Facebook through their mobile devices.6 (http://articles.economictimes.indiatimes.com/2014-04-09/news/49000101_1_javier-olivan-mobile-users-one-billion-users) Some are calling statistics such as this, indicators of the rise of the mobile first generation. For more information on Voxox’s low calling rates to and from India, see the post in this blog, GOOD NEWS ABOUT CALLING INDIA: SUPER-CHEAP & FREE INTERNATIONAL CALLS. 1. 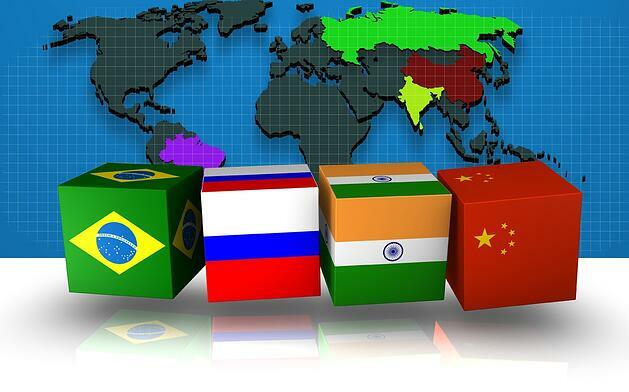 “Brazil, Russia, India and China (BRIC)”. Investopedia. 21 May 2008. 2. O’Neill, Jim (30 November 2001. Building Better Global Economic BRICs, Global Economics Paper No. 66. Goldman Sachs. 3. “BRICnation.com”. Retrieved 15 October 2010. 4. Rana Foroohar (20 March 2009). “BRICs Overtake G7 By 2027”. Retrieved 19 June 2012. 5. Agustino Fontevecchia (7 July 2014). “India’s 243 Million Internet Users and the Mobile E-Commerce Revolution”. Forbes.com. 6. Shelley Singh (9 April 2014). “After 100 million users in India, Facebook aims at 1 billion”. The Economic Times. 8. List of Countries by Number of Mobile Phones in Use. In Wikipedia. Retrieved 5 May 2015.